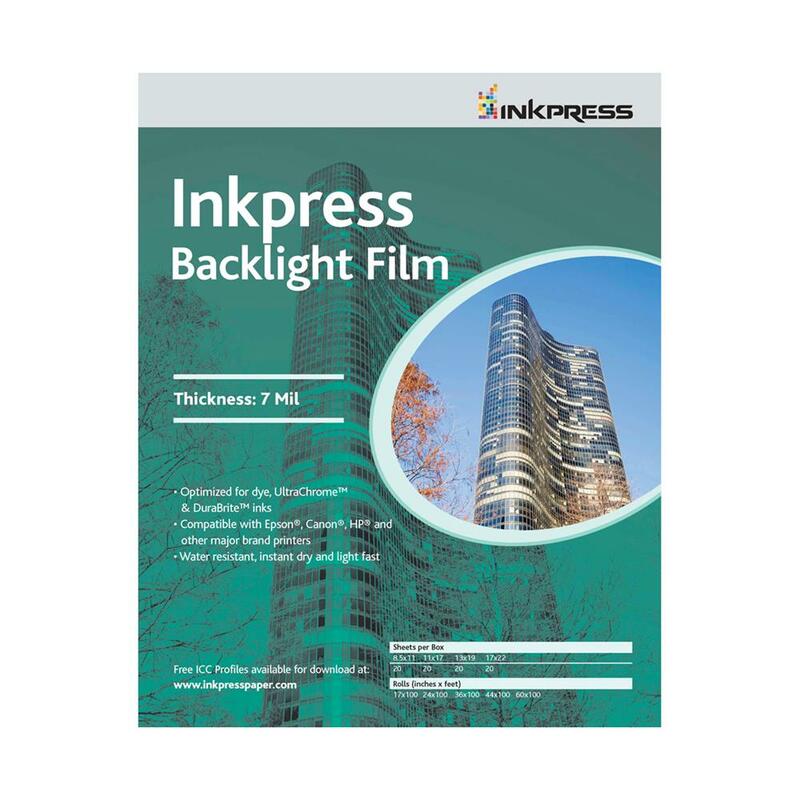 Inkpress Backlight film is ideal for sophisticated graphics. A translucent polyester film that is matte on one side and glossy on the other, the films ultra white diffusing layer allows reverse or direct print for either finish. Compatible with both dye and pigment ink printers, the matte side is designed for mirror-type printing for use with illuminated frames and reverse lighting setups.